Increase your Critical Star Drop Rate by 8%. Deal 1000 damage to yourself. Overcharge: Chance to cause Inflict Death to a single enemy. Increase own NP damage by 30%. 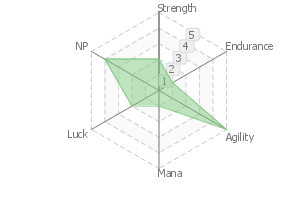 30% Chance to increase instant death rate by 10% when attacking (3 turns). ...Ten steps left, I'll make sure to kill you. Jing Ke was an assassin who plotted the death of the first emperor of China, and was one step shy of accomplishing it. If she hadn't been stopped, she may have rewritten the entire history of China. In history, this person is said to be a male. 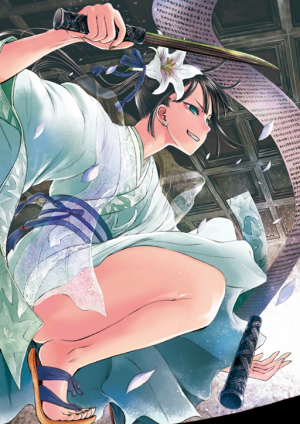 Jing Ke did not assassinate for a living, but was a merry person who loved reading, swordmanship, speaking with intelligent friends, and above all else, alcohol. 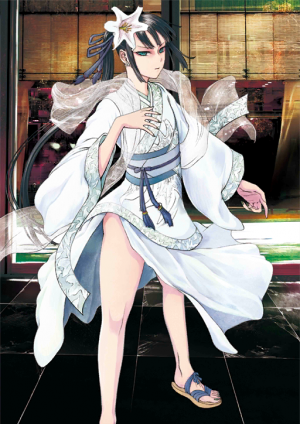 When asked to assassinate the First Emperor by Dan, the crowned prince of Yan, Jing Ke gladly accepted and carefully crafted a plan to assassinate the cautious emperor. Holding a gift for the First Emperor in one hand, and holding a dagger laced with poison in the other, it was getting close to the execution of Jing Ke's plan. She was waiting for a friend to help her assassinate the Emperor, but the friend never appeared. Her other friend Dan speculated that "perhaps he lost his nerve." 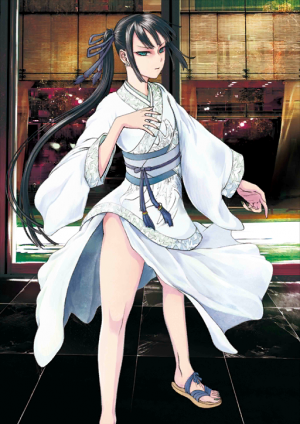 Jing Ke had no choice but to head for Qin with a new assistant recommended by Dan. However, the man who was supposed to help the assassination became unable to move out of fear. 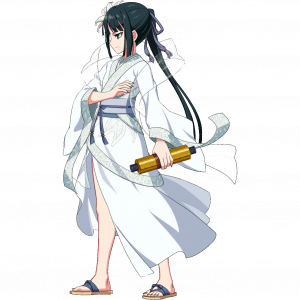 Jing Ke tried to perform the assassination alone, but thanks to luck the First Emperor managed to escape. 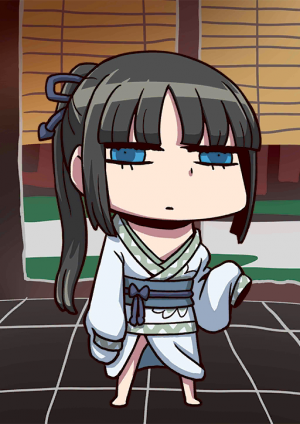 Jing Ke mocked the Emperor as she was killed. 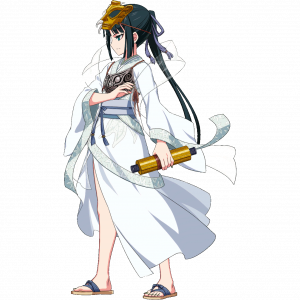 Even though Jing Ke was an assassin, she died without assassinating her target. However, because she was brave enough to take on the attempt knowing she would not return, later generations praised her bravery. 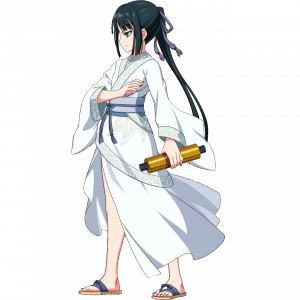 Jing Ke is one of the candidates for the player's first summoned servant. This page was last modified on 30 December 2018, at 10:46.